In any industry, professionals are always looking towards more indoor space to accommodate their specific needs. A lot of tasks can be completed outdoors, but ideally an indoor setting is both more comfortable and secure. The idea of building structures to accommodate these needs can be a daunting task, although there are affordable and highly customizable options available. 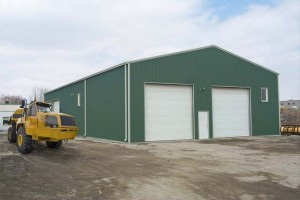 Pre-engineered steel buildings offer the perfect balance of utility, customization and affordability. Below is a breakdown of the top industrial uses for pre-engineered steel buildings. One of the biggest benefits of pre-engineered steel buildings is the ability to store your expensive equipment safely inside, protected from the elements and safe from thieves. 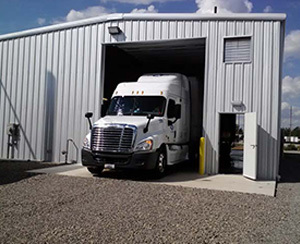 These buildings serve as excellent tool rooms and machine shops, and are perfect for storing your high-end industrial equipment. Pre-engineered steel buildings serve as the perfect workspace. Regardless of your specific industrial trade, these structures offer the ideal amount of space to get the job done. They can be set up however you please, thanks to their open concept steel construction. No longer do you need to work outside and face the elements of a cold winter day, a hot summer day or a wet spring afternoon. These pre-engineered steel buildings are also excellent garage structures. They can be designed to accommodate vehicles such as Trucks, Bobcats, Tractors, Back-hoes – essentially any vehicle you want. Storing your expensive work vehicles inside is much safer than simply parking them outdoors. It protects them from weathering, keeps them secure and serves as an excellent location to conduct usual maintenance. Often times, many industrial businesses decide to opt for a pre-fabricated steel building that combines all needs in one. These steel structures can be built to accommodate office space while having sufficient room for equipment storage and having garage bays for your industrial vehicles. Why have multiple buildings when you can have it all together in one structure? The beauty of these pre-fabricated steel structures is that they are highly customizable to fit your specific industry needs. Whether you need a structure for agriculture, aviation, construction, mechanics – you name it, it can be done. Everything down to the doors, paneling, ventilation, trim, downspouts and gutters can be customized. Overall, steel buildings are strong, long lasting, cost-effective and far superior to any wood or brick construction.